Spring cleaning is very beneficial and appropriate action for cleaning and preening of your home after the winter. Almost everyone knows that at least once a year is good to make a general and detailed cleaning to remove unnecessary items from your home, especially to disinfect and clean around. Accumulation of dust and germs in our home is inevitable but a thorough spring cleaning would certainly reduce the content of harmful bacteria, grime and allergens if you invest adequate time and endeavour. But in this busy society people are often unable to be as efficient as they would like to be in undertaking the chores at home. This should not be a reason to neglect the care for your home for sooner or later the situation will turn into a disaster. This is the purpose of our professional company, not to leave it that way and offer you the opportunity as soon as possible to conduct the much needed and healing for your home spring cleaning. With only one call you can regiment the spring cleaning session carried out by a professional staff of cleaners who are ready to come and perform the cleaning instead of you. Witty Cleaners is one of the leading professional cleaning companies in Wapping, offering effective spring residential and commercial cleaning. Our high-quality service comes at very reasonable rates for we aim to serve all clients in need of deep professional spring cleaning. Booking a service is the easiest way to provide your home with the best maintenance and care and we hope to fulfill all your requirements because we have very long practice in cleaning field and definitely know what one good spring cleaning should involve. Our company guarantees remarkable cleaning results from our expert technicians who are properly trained, fully insured, certified and pre – screened. They will reach to high quality performance through our specialized and advanced cleaning equipment and solutions. Our spring cleaning is altogether effective, healthy and harmless because we avoid the usage of strong chemicals. We promise to clean every room and corner in your home and achieve top hygiene by vacuuming the floors, wash and remove scale in the bathroom and toilet, polishing and dusting, clean the kitchen and other rooms. First, Witty Cleaners suggest you to get informed about the rates we have as we always can surprise with seasonal discounts and special deals. Please, view our price list for further details. 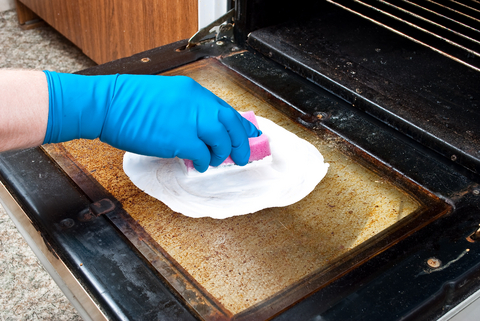 To schedule an appointment for spring cleaning use our online form for booking or call us on 020 3404 0304 anytime.